Johnson's Pure Protect Soap - 125 g | Multicolour | Helps to keep baby skin smooth and soft. Gentle and smooth on the skin, this pure protect soap is an ideal choice for your growing baby. 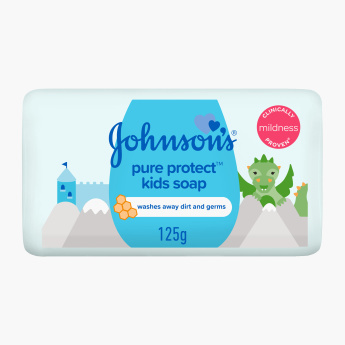 The kid-friendly formula assures it is easy on the skin while keeping the skin moisturised and healthy.